While working as a chemist in a food science laboratory doing grape and wine research in his native New Zealand, Jeff Keene was both intrigued by wine and certain that he did not want to spend his days in a white lab coat under fluorescent lights. He returned to university and attained a Postgraduate Degree in Oenology and Viticulture at Lincoln University in New Zealand. After working several vintages at Selaks Winery and Palliser in Martinborough he came to the Napa Valley as an intern in the late '90s for Havens Wine Cellars, where he stayed on rising to assistant winemaker then winemaker. After Havens he joined the Peter Franus Wine Company, which gave him the opportunity to work with vineyards throughout the Napa Valley under the able mentoring of renowned winemaker Peter Franus, whose 30 years of Napa Valley experience was a incredible resource. 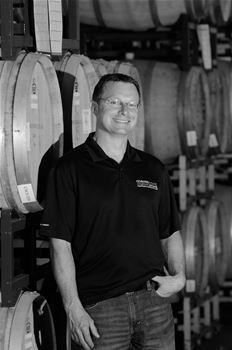 In 2008 he joined Cornerstone Cellars as winemaker. Jeff Keene's winemaking philosophy is straightforward, "to produce wines that reflect site and appellation, respecting traditions and to make wines we love to drink."